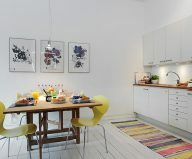 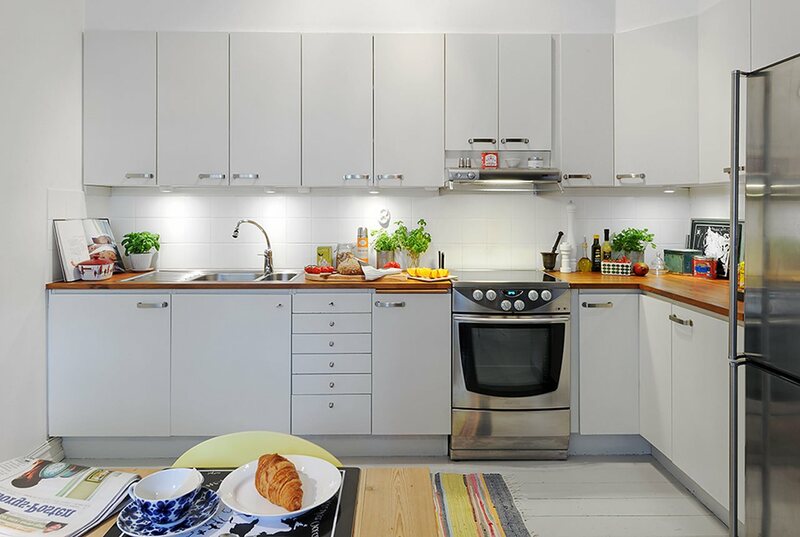 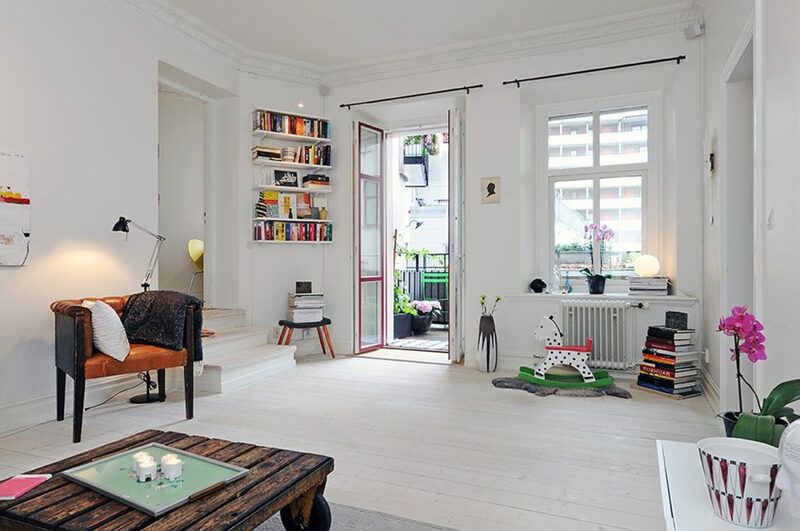 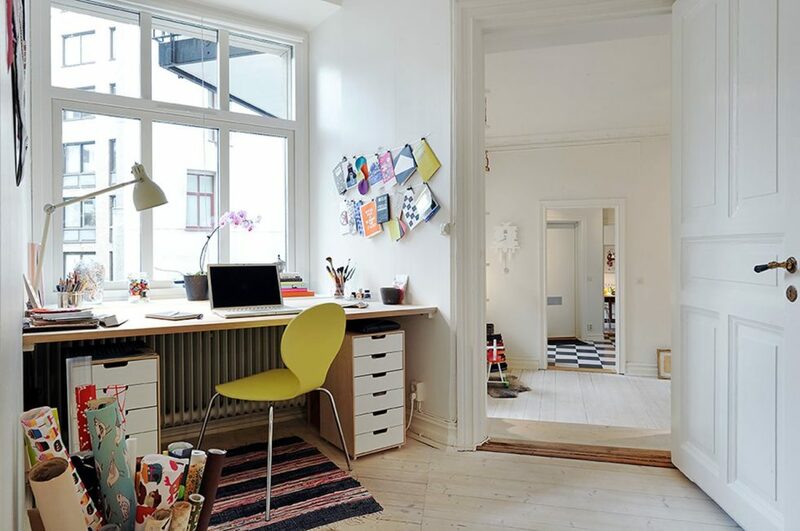 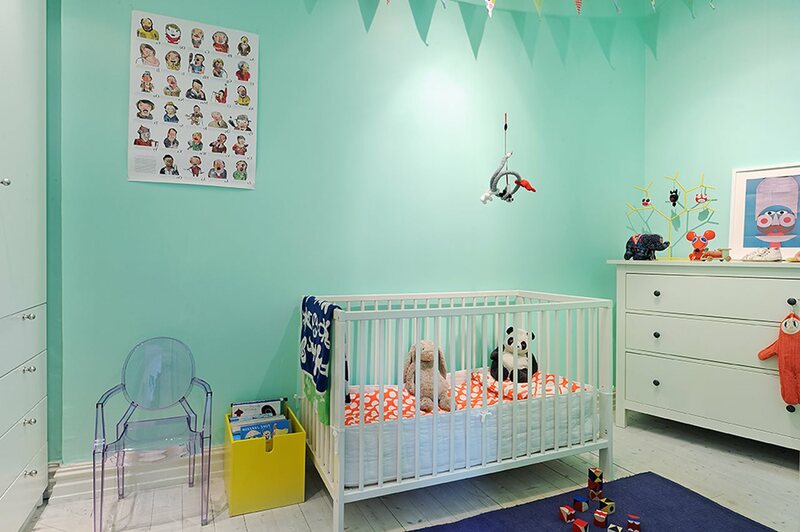 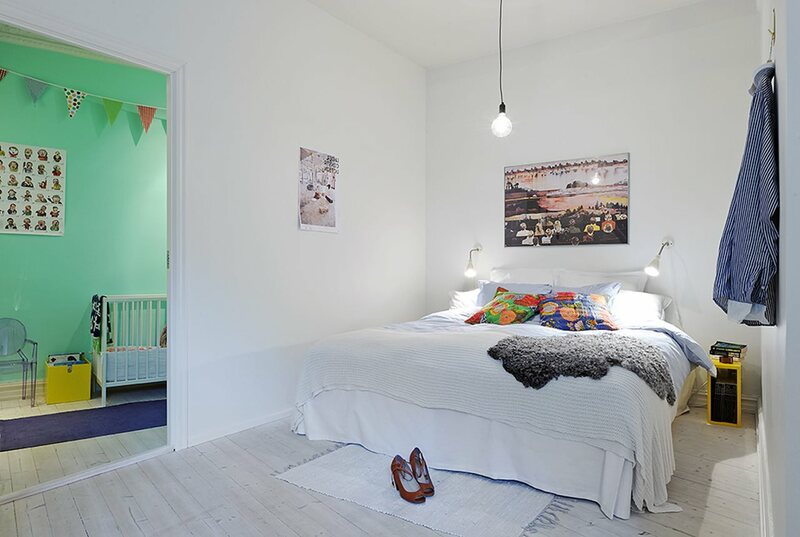 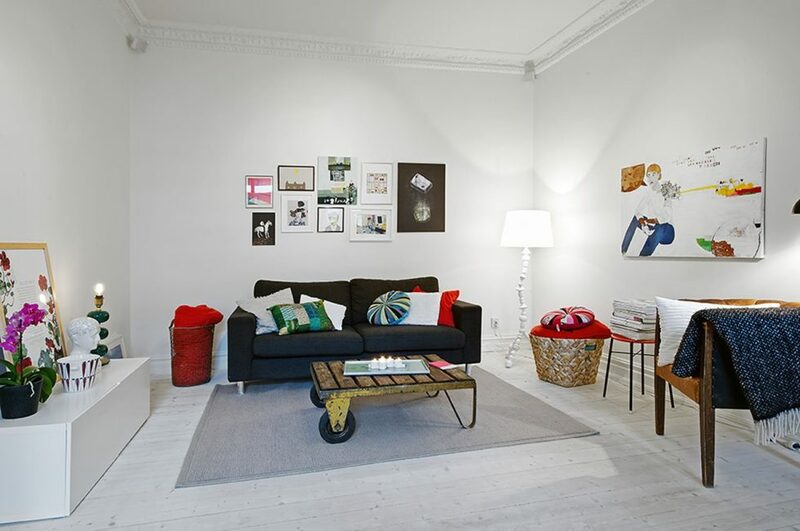 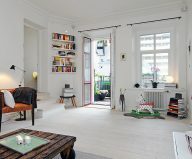 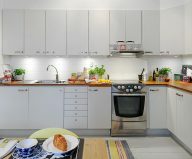 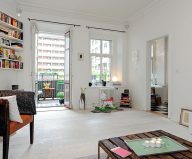 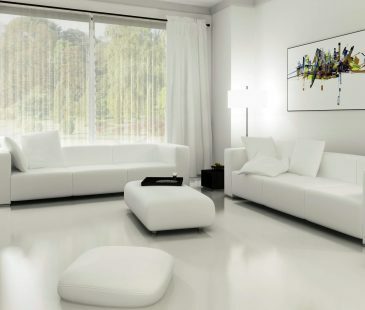 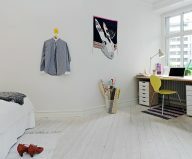 The design of most of Swedish apartments tends to have one feature in common, namely – exceptional whiteness and various bright items. 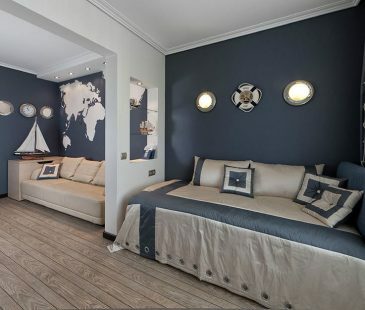 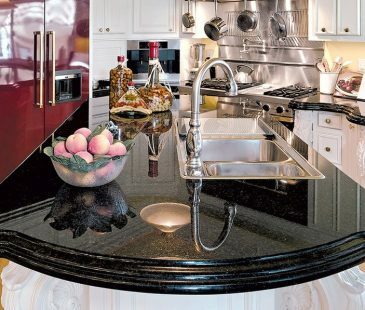 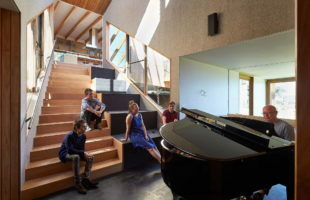 It is quite surprising, though, that the designers are able to create each project in a unique style, using the same approaches for decoration! 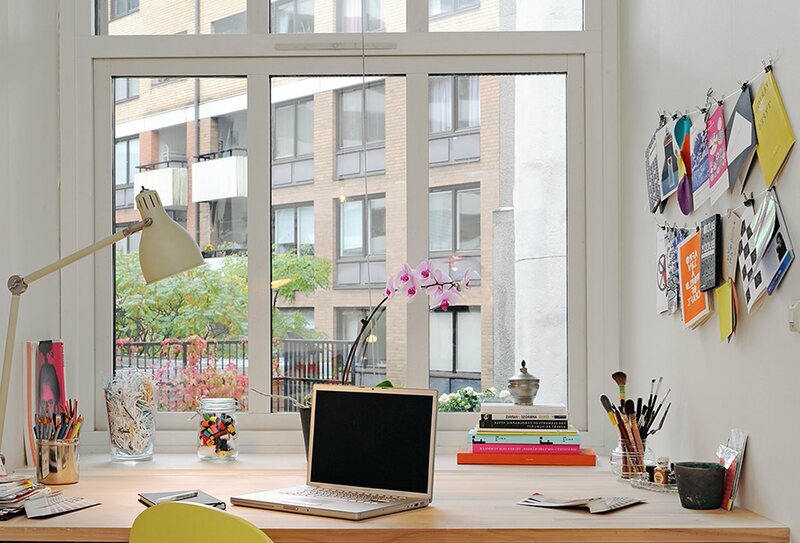 This apartment isn’t an exception. 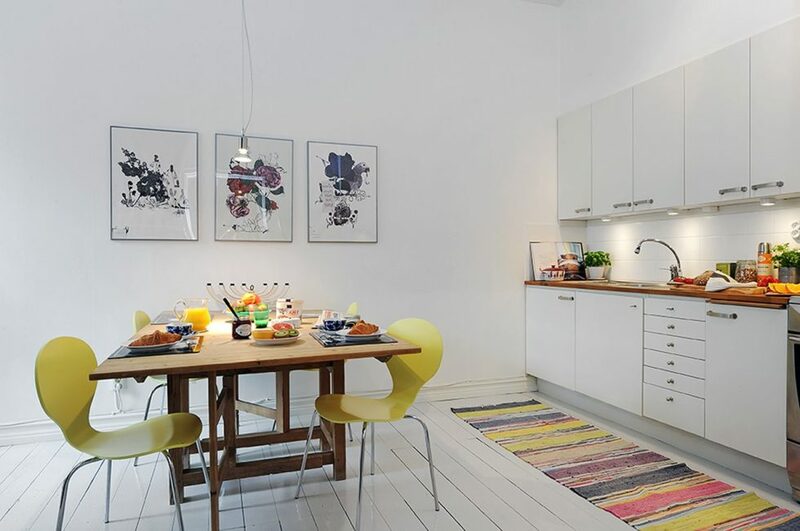 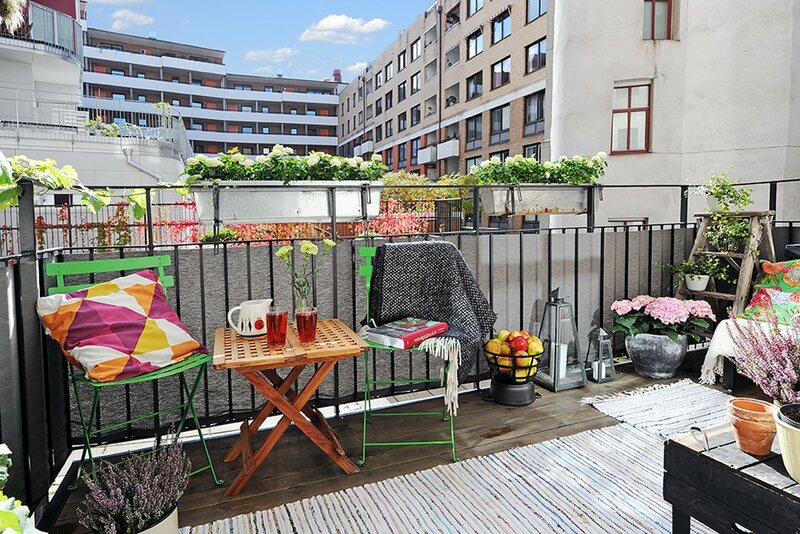 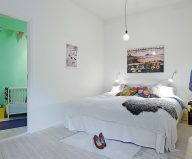 It includes two bedrooms, a living room, a kitchen and a small laundry room, with a total square of 79 m2, all decorated in the modern Scandinavian style. 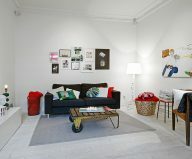 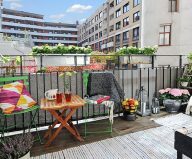 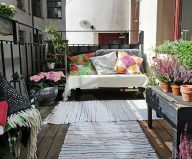 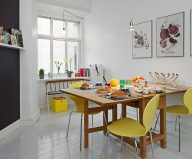 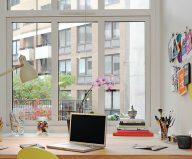 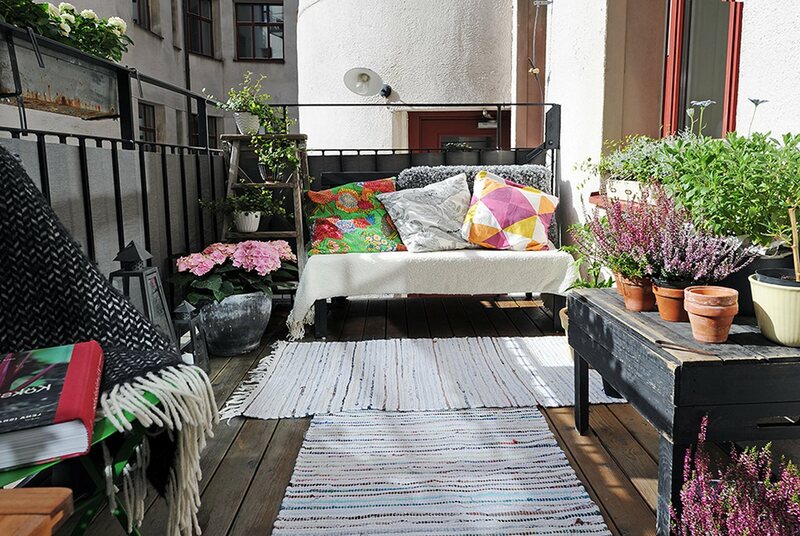 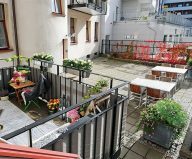 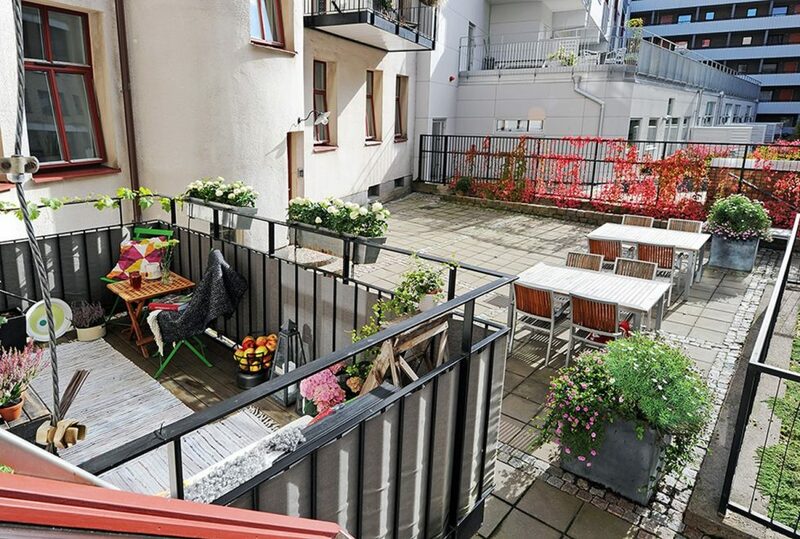 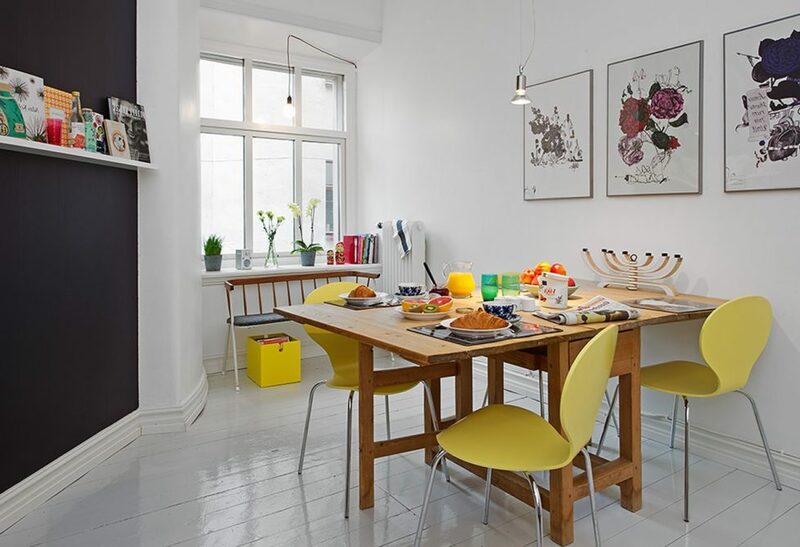 This apartment is light and cozy and located on the first floor of the five-story house at the very center of the city. 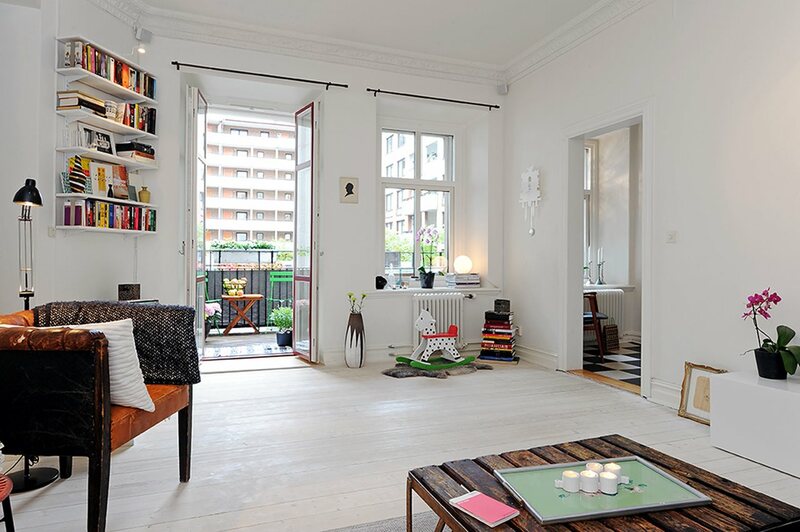 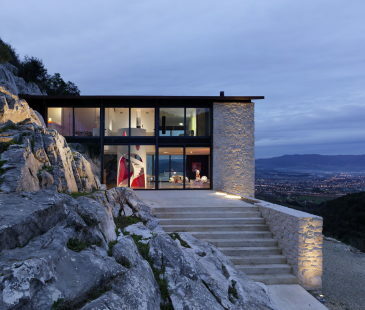 At the same time, its large windows and a spacious balcony overlook the quiet internal court.